I found this Nyan Cat picture whilst browsing the "What's Hot" section on Google+. It is pretty amusing what people can come up with on the internet. 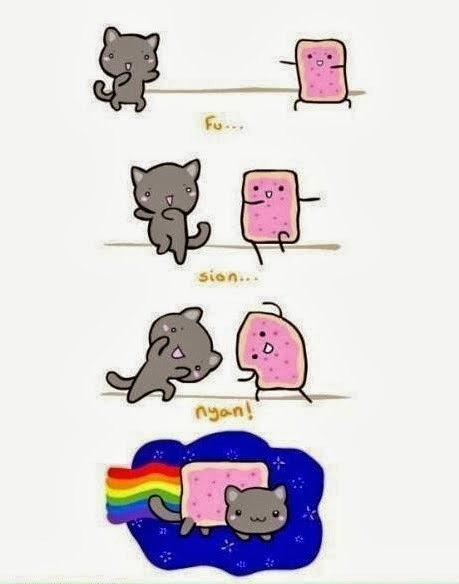 This is the "origin" of Nyan Cat and how he/she/it was born.